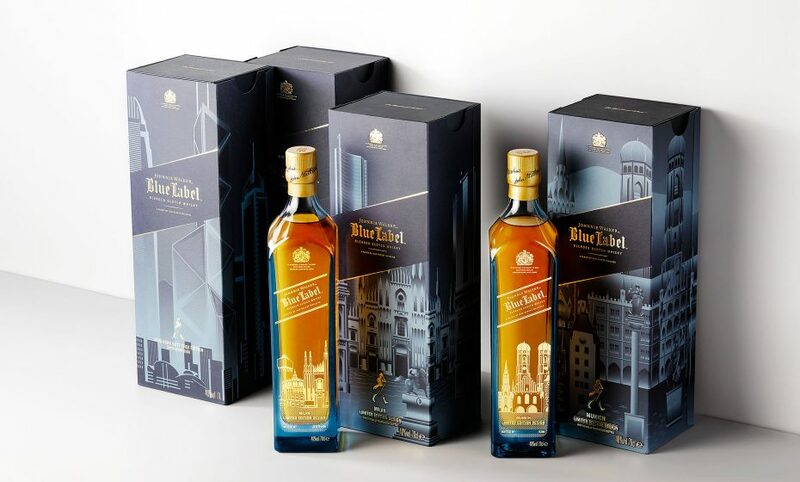 CHIC and Diageo have been working closely together for several years now, on the the exclusive Blue Label Skyline collection inspired by Jeff Nishinaka’s work. CHIC has designed the skyline of more than 23 iconic cities such as London, New York, Hong Kong or Sydney, within the gold and deep blue tones of the brand. Metallic print, gold foil and 3 levels of embossing to bring it to live on the outer box. Simplified skyline screen-printed on the bottle. True success story.